The authors present a study with the goal of determining if root and tuber crops’ value chains can be further improved. Next, taking into account that the main parts of crisis-impact territories are occupied and controlled by illegally armed groups, the development of methods and algorithms for impact assessment is required. Thus, the methodology of land-use assessment dynamics and agricultural production change in the areas impacted by low-intensity military crisis are described. Later, the authors examine the present migration phenomenon as one of the main economic, social, and political problems of our days. It is a clear consequence of current paths of development based on unequal growth, concentration of wealth and spread of poverty. This widespread problem involves about one billion people, many of them coming from the African continent. 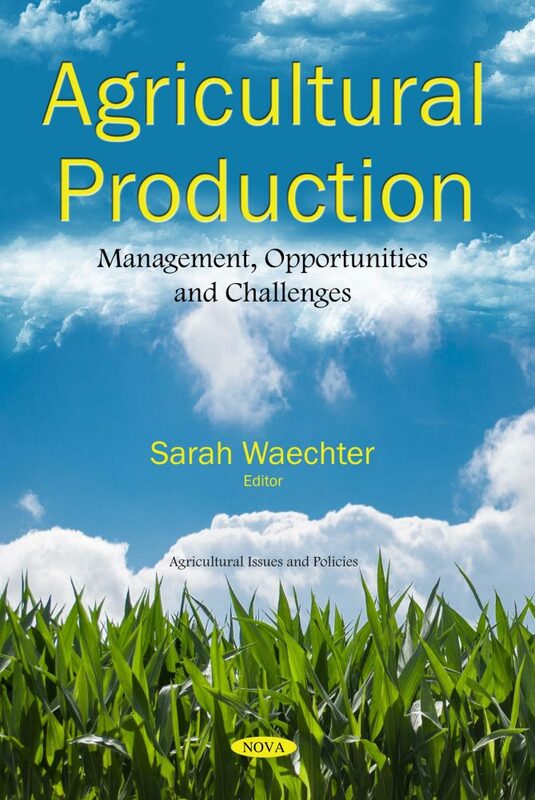 The closing chapter discusses how to best raise agrarian output while safeguarding the surrounding environment in Pakistan. Since carefully fostered growth in the agricultural sector may have the potential to significantly propel export growth and increase export earnings, such practices can help boost the incomes and employment prospects for farmers and considerably raise domestic production which will augur economic development and food security in the country.